As part of the Odd Squad’s ongoing educational outreach programs for youth, Sgt. Toby Hinton and Sgt. Mark Steinkampf joined organizers Sgt. Ken Beard RCMP, Bobbi Hamilton, Hay River Justice Committee, Sgt. Brandon Humbkee, Cst. 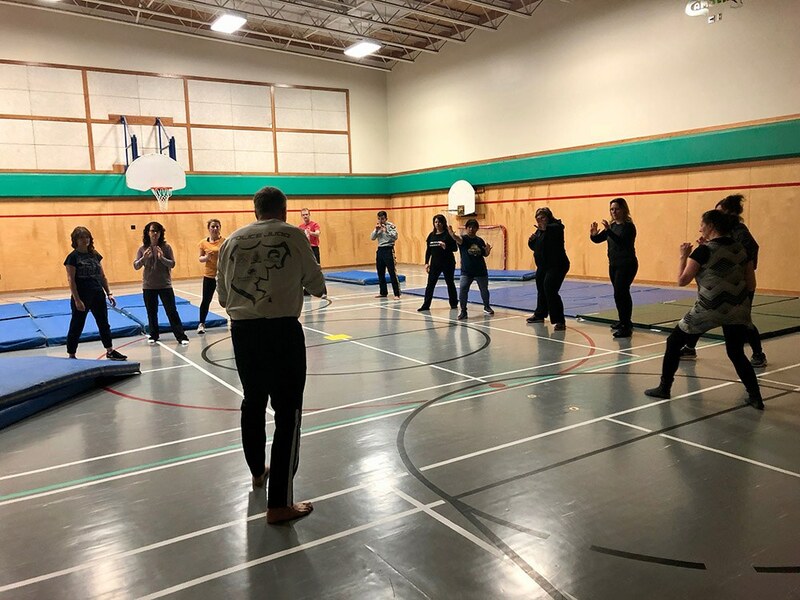 Jordan Groenwegen, RCMP and other RCMP officers in Hay River, NWT to present their drug prevention and judo training workshops. Northern trips for Odd Squad require a great travel distance––this one through Edmonton to Hay River, NWT–– so both Mark and I are up at 4.00 am with Mark picking me up at 4.45 am. With roughly three hours sleep, we are both feeling groggy, but we head to the airport en route to our first stop, Edmonton. After a short layover, we hop on Northwestern Airlines and head to Hay River by way of High Level, a short stopover. The flight attendants page us, asking about our bags, and then look at each other as we check in. They ask us if we can show the flight receptionists our bags. Not sure why this is happening until we hear the PA announcement requesting volunteers to leave their bags behind as there is a weight issue. Surprisingly (not) there are no volunteers. The next PA announcement indicates that if there are no volunteers, bags will be left behind (never a good sign). Of course we ignore it as they cannot be referring to us and someone else will generously volunteer to leave their bags behind. This disquieting PA announcement is followed up by a request that all men please sit in the front seats and to load first (I make sure that I text everyone this information so that it can provide some illumination in what seems like the inevitable post-crash aviation investigation). One female customer nods supportively when the comment is made that this does not inspire much in the way of confidence in the flight. She does, however, like the tacit assumption that all the men are heavier - as in fat. Off to High Level. After coffee and tea, noting that my bladder is now screaming, I decide to investigate a bathroom at the back of the small plane. After precariously working my to the rear, conscious the whole time that I could cause the plane to crash by the sudden redistribution of my weight to the back of the plane and not wanting to raise the ire of the pilots, I tread gingerly. At first glance, the washroom looks very awkward and using it will necessitate leaving the door open. It looks like it was built for a troll, and would be fine if I was 3’6” tall. So, I scrap the concept of providing some relief for myself and make a mental note that soldiers in the war had a lot tougher things to deal with. This is no big deal. I return to my seat. Twenty minutes later I give up this moronic thinking, can care less about leaving the door open or what other passengers in the plane think, don’t care if I upend the plane, and head back to the washroom and have the most awkward but relieving bathroom visit on a plane ever. Note to self: never again forfeit a last-minute opportunity to use a washroom before flight take off. Arrive Hay River, NWT – a sunny, sharply cold afternoon. Our host Brandon (the sergeant in charge of Hay River) and his 10-year-old son, pick us up. Great hospitality––have the suite that the former prime minister stayed in while here on a visit. They never clarify which prime minister––the décor is timeless so I guess it could have been from Mackenzie King forward. As well we have the keys to the RCMP gym and keys to an unmarked RCMP Police 4x4. The only thing we are missing is our luggage, presentation gear and speakers. Apparently we should have paid a bit more attention to the PA announcement at the airport as they removed our luggage to save weight. Supposedly it may show up tomorrow. Off to the Northern Store to get a stylish pair of sweats and a toothbrush. We then we meet an enthusiastic Cst. Jordan Groenenwegen––a three-year RCMP member born and raised in Hay River––his youthful appearance belies his four decades on the planet. Mark is up late and is fervently working on the youth drug education presentation after discovering at midnight that the hard drive containing the presentations for the north has gone south (no pun intended). All of the drug education presentations are on this drive. So we make a panic call to our tech advisor and editor at Odd Squad to help us assemble a presentation by cobbling together what we have and what we can download with a bandwidth that is having trouble with anything over one word. Nothing like the pressure of techno-stress before a presentation to wake one up. At 1.00 am we pack it in with most of the presentation salvaged thanks to a kid born into technology. Once again, we are up early going over our presentations and schedule, figuring out how to comb my hair with a toothbrush and wondering if we will see our luggage ever again. We meet Cst. Jordan and Sgt. Brandon for breakfast––talk a little about the issues in the community and the upcoming presentation. 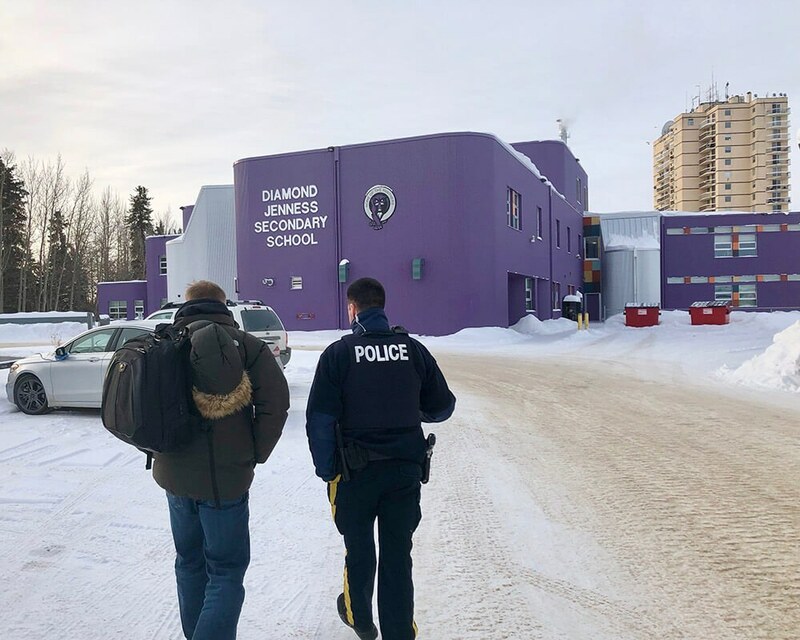 The Diamond Jenness Secondary School in the middle of the town of Hay River is the only all purple high school that I am aware of. 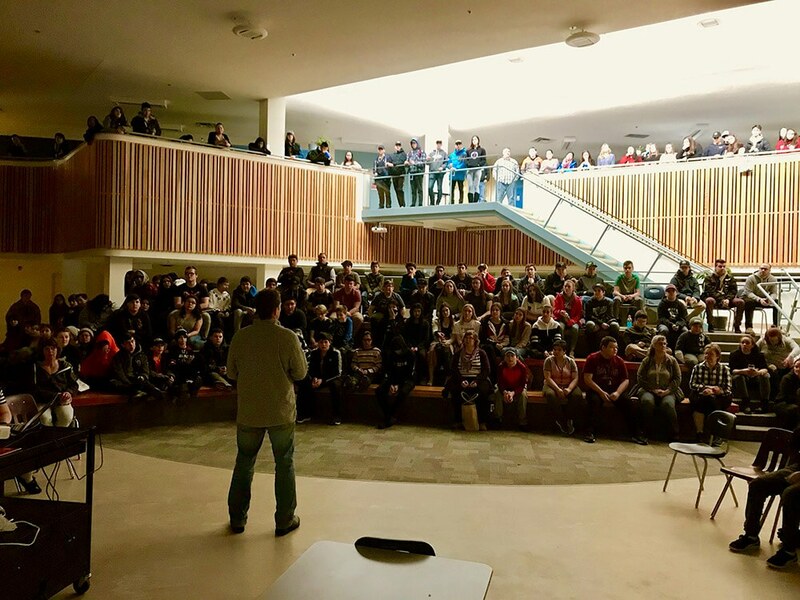 The presentation is in the lobby of the school and the entire school (Grades 7 to 12) is there, gathered on different levels of the school ––scattered over terraced seating in the lobby, chairs on the ground level and on the balcony. Word has it that some Grade 12s crashed out on the floor of the balcony out of view from our position below. Mark gives a strong delivery, working through alcohol abuse, cigarette addiction, vape popularity, marijuana, drug use levels nationally, fentanyl as a rising concern in Canada. He talks about why youth use drugs, strategies for reducing drug abuse and getting help. 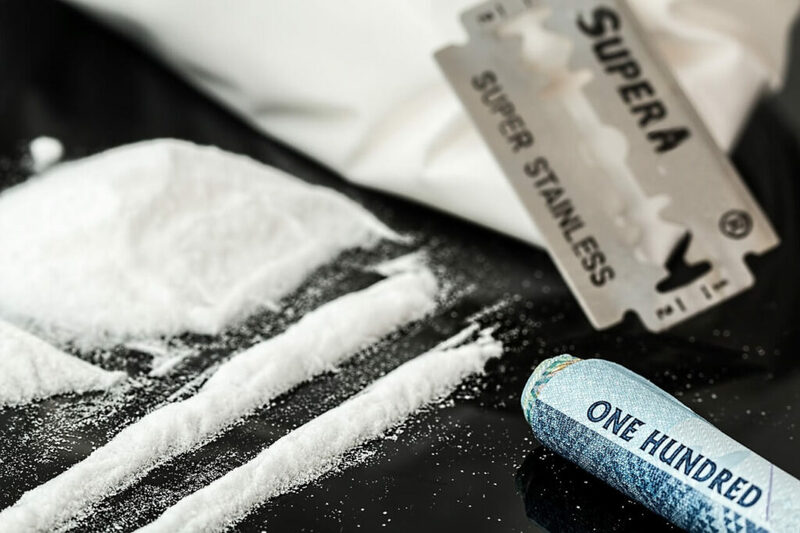 In these northern towns the most prevalent drug problem is always the most accessible–– alcohol, cigarettes and marijuana. Mark fields a number of questions––one being what local resources are available for students who are having trouble. He reminds students that we are not experts on northern resources and then he throws this question to Principal Lynne Beck and Cst. Jordan Greonewegen. There are a couple of students who have a hard time with the presentation, likely because it’s close to home for them or their family/friends. They are identified by the organizers and will get some follow up attention––a few left the presentation crying. Lunch break and it’s always a challenging time for me as an almost vegetarian (I eat some fish). Vegetarian food in the north is hard to come by––Inuit word for vegetarian is “bad hunter.” Settle for a plate with lettuce, tomato, cheese and sour cream. Mark and I both eat lunch with the staff and students (unheard of down south) and prepare the upcoming presentation for the afternoon. The presentation is to be on self-defense but the principal has caught up with us at lunch and indicates she would like us to discuss drug awareness and self-awareness. She also wants us to address the quick money allure of the gang lifestyle exhibited by a few of the criminally-involved youth around town. We make changes to the presentation and roll into a combined self-awareness, self-defense presentation. And we touch on topics we don’t normally address––value systems, influences for quick and easy money, the value of choosing a strong and supportive network of friends, looking after each other, and the benefit of doing volunteer work for others in terms of opening up the future. Standing in front of this group, I think about what would have been relevant for me at their age. The loss of my best friend in high school to a car crash after a weekend camping trip and social––a tragic solo accident that involved drinking and driving––seems to be the most connected to my own self-awareness. Borrowing from the philosophy of Jigoro Kano––the founder of judo––I bring the message round to the importance of looking after each other and taking care of one’s partner. Probably because I have not intended to speak on this––and the issue is still raw in my mind 38 years later––the delivery of this becomes a bit emotional. Like most police, my guards are always up and I don’t like expressing emotion. Then we are off to the airport to retrieve our luggage. Upon arrival we are told that it has gone to Fort Smith, not helpful as Fort Smith is about a three-hour drive. So we drive down to Fields to buy underwear, socks and a cheap outfit to wear while delivering our self-defense training. And like the red sports car you don’t notice until you’re looking for it, I can’t help but notice the Fields’ jacket I bought being worn by everyone in town, wondering if that means I am now part of a cult. The women’s self-defense training starts at 19.00 pm––Natasha from the Community Rec Centre has organized mats for us. Approximately 15 women show up for the clinic, as well as several RCMP officers (Ron, Brandon, and Jordan). Bobbi from Hay River Community Justice also attends. 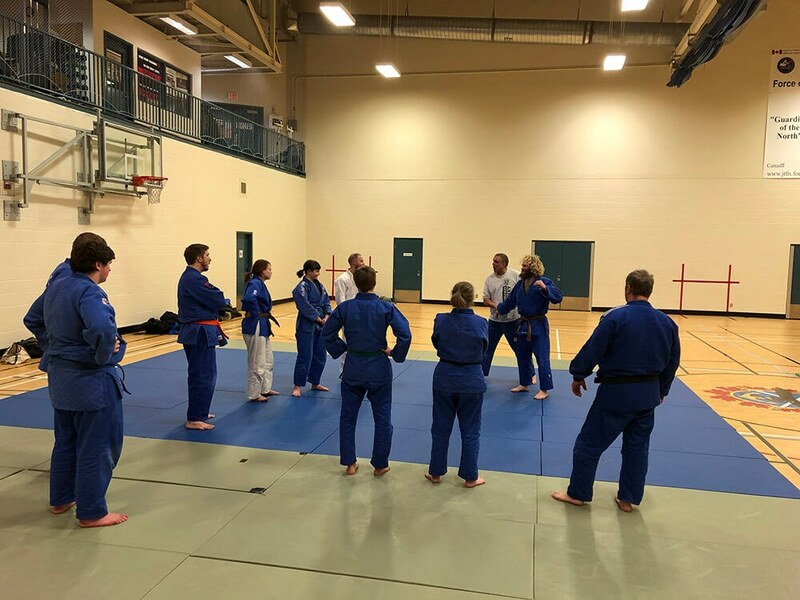 After a presentation covering some of the basics of self- defense we go straight to the mats and work from the ground up on how to defend oneself. It’s an energetic group with varying levels of age and fitness, but most importantly they are laughing and having fun. And this is the same as the students at the high school during the police judo workout––there’s something magic about everyone having a good time. We make it back to our hotel room at just after 10.00 pm. Given that we will be driving on the road to Fort Smith tomorrow early in the morning (three hour drive) and that the presentations combined with the training and workouts have tapped most of our energy, calling it a day is an easy decision. Four presentations (two drug education, one police judo workout, and one self- defense) combined with all the travel is a lot for a day. Collectively we are tired. Picked up at our hotel, we are on the road with Jordan to Fort Smith. This is a snow-covered road but well groomed and a smooth road for the two plus hour drive. In policing, conversations always revolve around the job, so there’s lots of talk with Jordan about similar concerns and issues in our job, despite extreme differences in environment and geography. We arrive at the Fort Smith airport to reclaim our bags. We end up at the airport hanger and speak with the engaging front office worker for Fort Smith Air. He shows us around the hangers and the planes being prepared for a crew of university students flying out for a winter camp program. 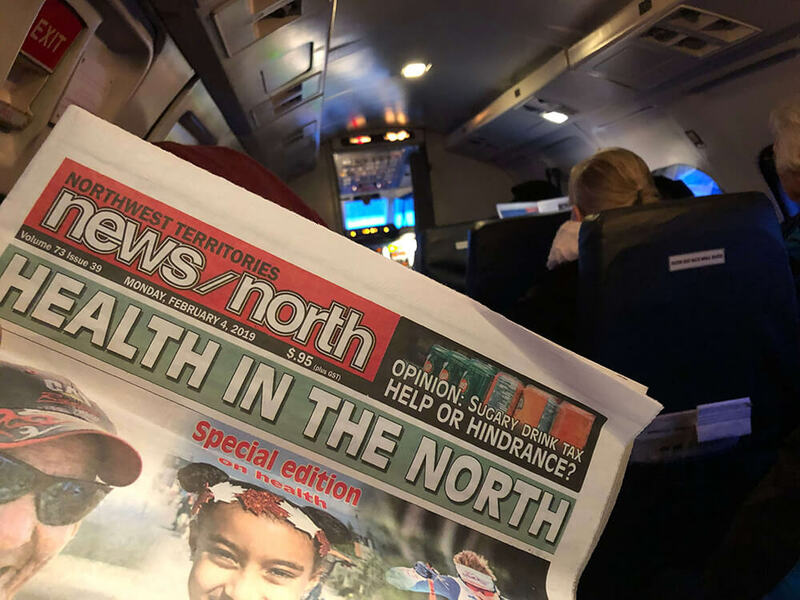 And then we discuss the plane that recently went down flying into Whati––our destination after Fort Smith––killing two pilots––a sobering reminder of the dangers of flying in the north. We talk about theories around what happened––opinions leaning towards some type of mechanical or instrument failure. Stop at the Tim Hortons in town (attached to a gas station) and walk up to the kiosk counter to see the manager––a local man with the subtle scars on his face and hard look that spoke volumes about his previous life. He seems to know us without saying as much. He narrows his gaze on us as we move up to order, nodding his head to say hi like we have met before, and is instantly on personal terms. He states that he has watched the Odd Squad films, knows what we do and wants to say thanks for everything. He walks out from around the counter shakes our hands. 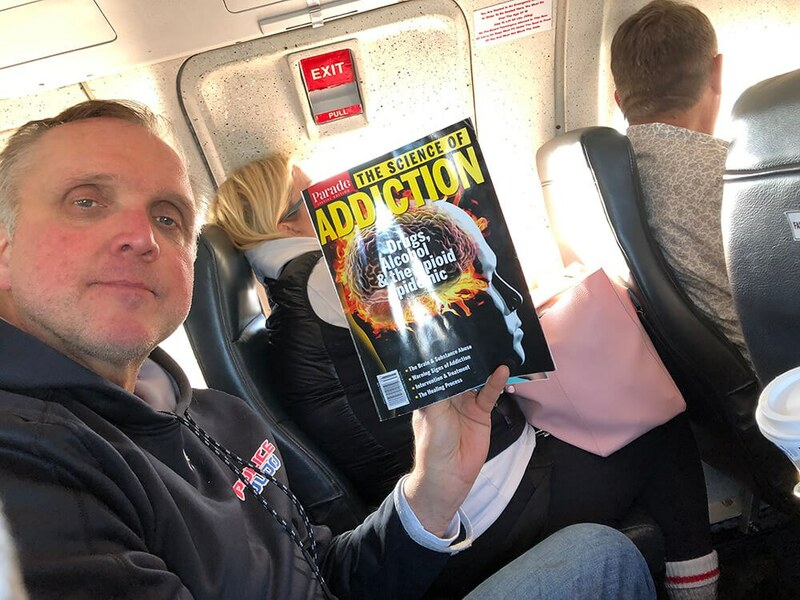 This has happened on a number of occasions doing presentations across Canada, usually because the drug education work connects with others in a very personal way. The manager isn’t revealing where he’s been and the struggles he’s had, only the nebulous indication that it was not the right place––maybe another city centre. He says that managing the station restaurant is his work now and he is happy doing it. The implication is that he has turned his life around. And we hope he has. As we are in the north, ordering food for someone who doesn’t eat meat or chicken is a challenge. When I ask for a garden vegetable sandwich all I get back is a synchronized blank stare from the three workers. The next request for a bun, with cheese, tomato and lettuce is met rather incredulously with “yeah I guess we can, but we’ve never had a request like that before.” Anyhow, I get what I want––a veggie sandwich. On to the high school at Fort Smith to meet the principal and get set up for the presentation. The division of labour is working well with Mark up for the presentation on drug awareness––keeping to parameters of close to one hour and allowing time for questions by the students afterwards. We are emphasizing some of the current trends for youth including the history and issues of vaping (very popular with youth) as well as the toxicity of drugs, such as Fentanyl, that have caused carnage in our country. The OSP drug education awareness presentation has been vetted by educational experts and curriculum designers and is on point with what youth need to know about drug issues, discussing the number one killer––tobacco––for adults and the number two killer for youth. 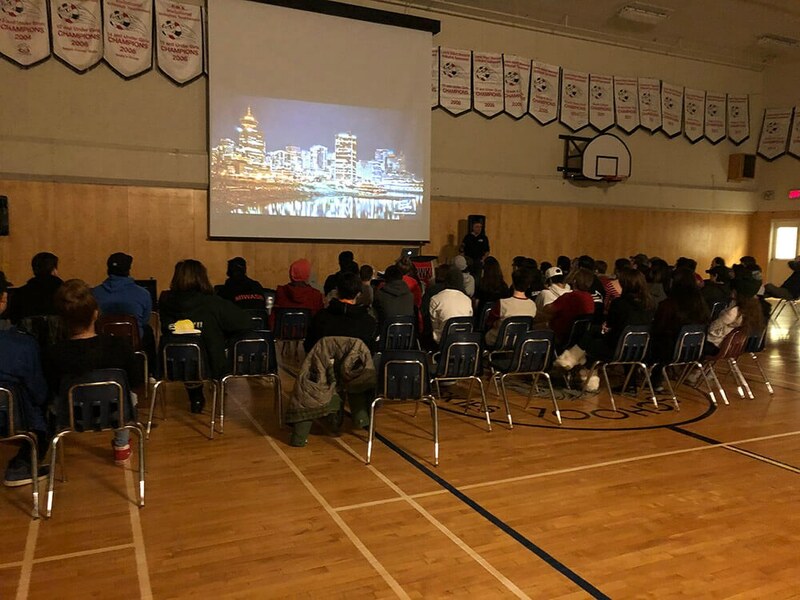 Using visual images taken from the Downtown Eastside as well as current clips––the youth receive a reality based presentation on some of the drug issues they will face––but in a manner that allows them to discuss them with each other as well as their teachers and parents. For the judo workout following the presentation, we are provided mats––always a much-appreciated benefit as it allows us more flexibility for running a practice for the kids. We cobble together as many together as we can––an eclectic mix of old beat up ones and newer accordion style blue exercise mats. For the judo workout we have a mix of female and male students along with one female teacher who assists us by her presence and participating with a very good fighting spirit! 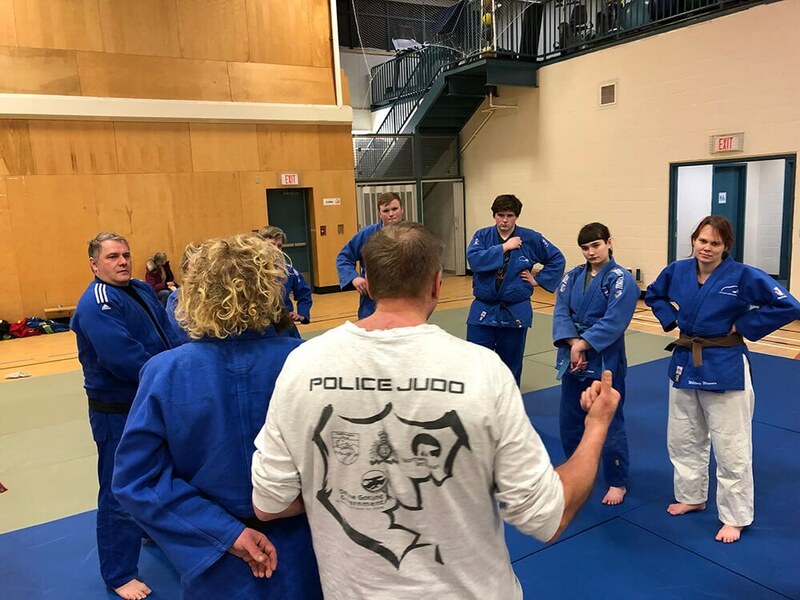 We run the police judo practice on the mats and focus on ground work drills and training and accommodating the wide range of skill, size and age in the room––about a dozen kids in total, including one older local student who has some wrestling and martial arts experience from his time in Yellowknife. He becomes our demo partner for the class. The kids have a great workout, and we bring the energy level up at the end of the practice by incorporating a bit of competition. We apply masking tape to the backs of the participants, encouraging them to to fight to get the masking tape from each other while keeping the struggle on the ground. After finishing the training, there is the usual twinge of regret that we can’t sustain the training––it needs to be driven by a community member, oftentimes the RCMP officer or a teacher in town––but without this ongoing and sustained commitment, the opportunity is lost. However, this feeling is overshadowed by the smiles, laughs and thanks for running the practice. 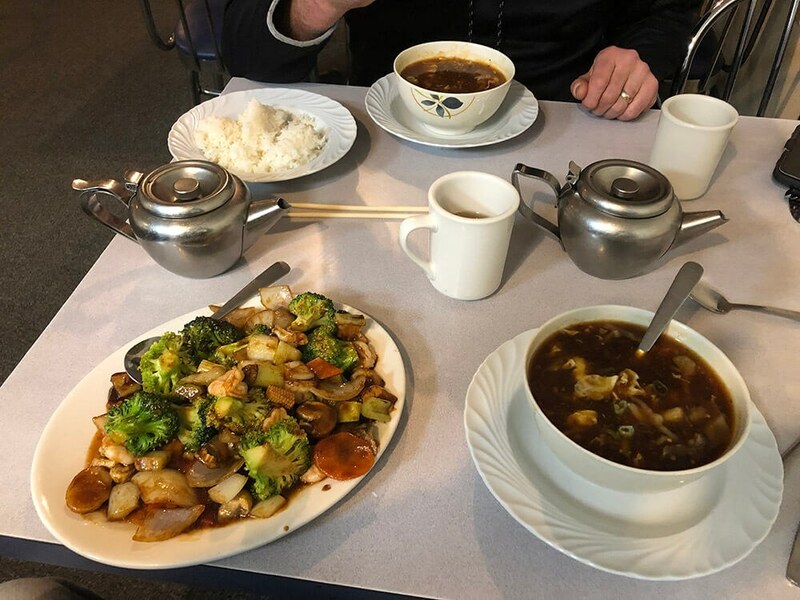 Back to our hotel for a very western variation of Chinese food with vegetables that do not look or feel very fresh––especially after the rich variety we have in Vancouver––and then off for 20 minutes of rest before the night self-defense clinic. A smaller group shows up for the self-defense clinic, including a number of students who partook in the earlier Police Judo training. The presentation first––split between Mark and myself––covering basics related to self-defense. 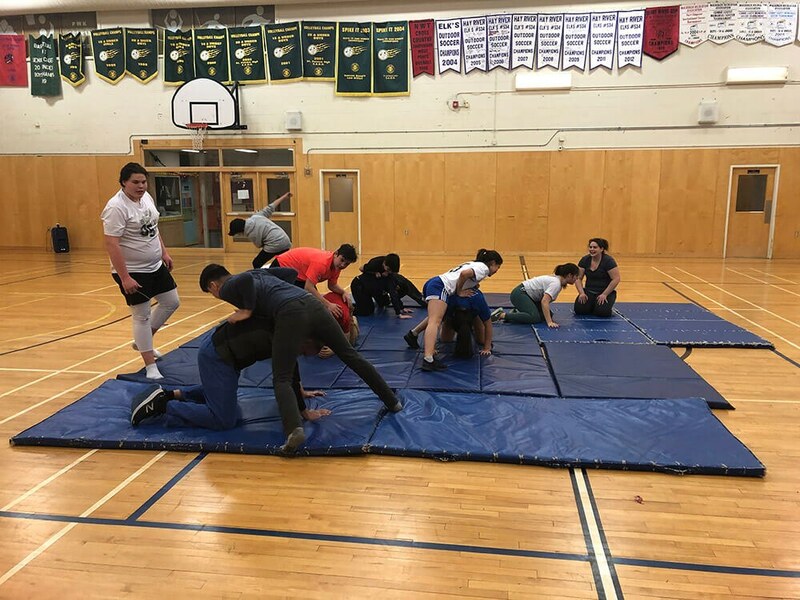 Then on to the mats for the workout––and by the end I think everyone, including the students, is tired from the training. That’s a wrap. 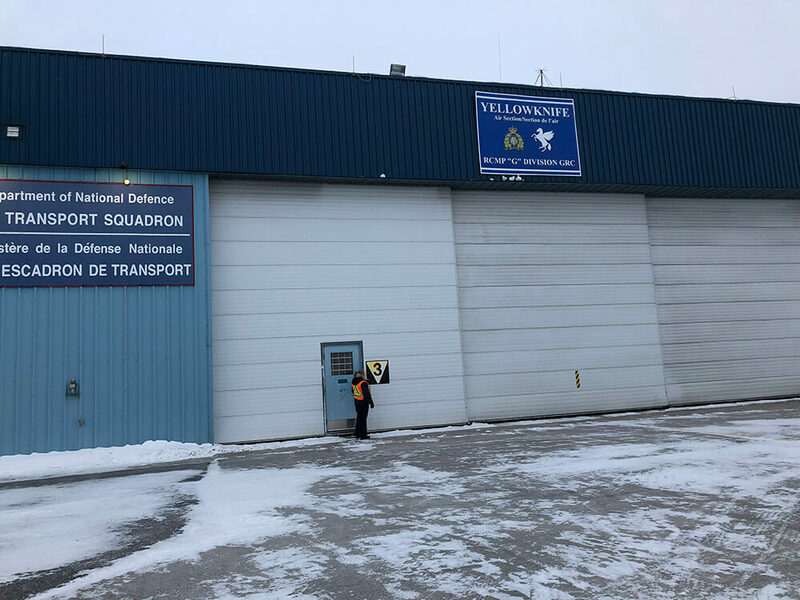 An early morning flight from Fort Smith to Yellowknife and then a quick cab ride to the RCMP hangar for the next leg of the journey–– Wahti. This is a fly-in community (although a connecting road is in the works) of approximately 500-plus residents. 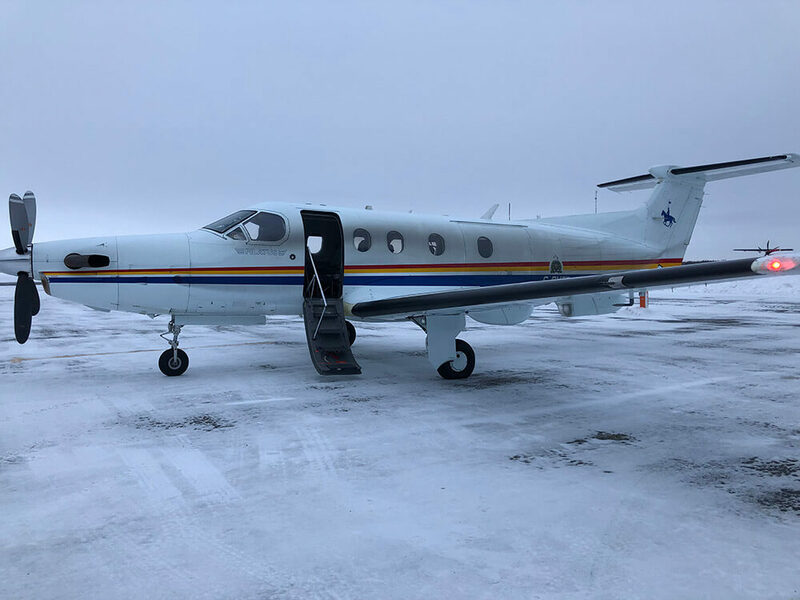 The RCMP uses a sleek 12-passenger plane for moving its members, staff and prisoners. Its captain is a fiery red-headed female pilot, Christie, with a great sense of humour and a bubbly personality. We are met at the airport, which looks strangely like a small cottage by the Cpl i/c of the detachment Brad Barbour and his partner Cst. Sam Munden, both with heavy Newfoundland accents. They volunteer to give us a tour of the town and are gracious hosts for our short time there. The town, built next to the third largest lake in the NWT, is picturesque with well-kept-up and colourful small houses organized in a grid pattern. Although there’s a blanket of snow and biting cold, we can imagine how beautiful it must be in summer with the aqua blue lake and green on the ground. The school is small but neat, with a glass-encased gymnasium. Our time is tight as the plane is returning to pick us up, so we try to accommodate a drug education presentation as well as a police judo workout. Mark rolls ahead with a combined presentation for the school in the gymnasium and takes some questions at the end from the kids. When he asks them what they think are the big problems in the community, they answer consistently––marijuana and alcohol. 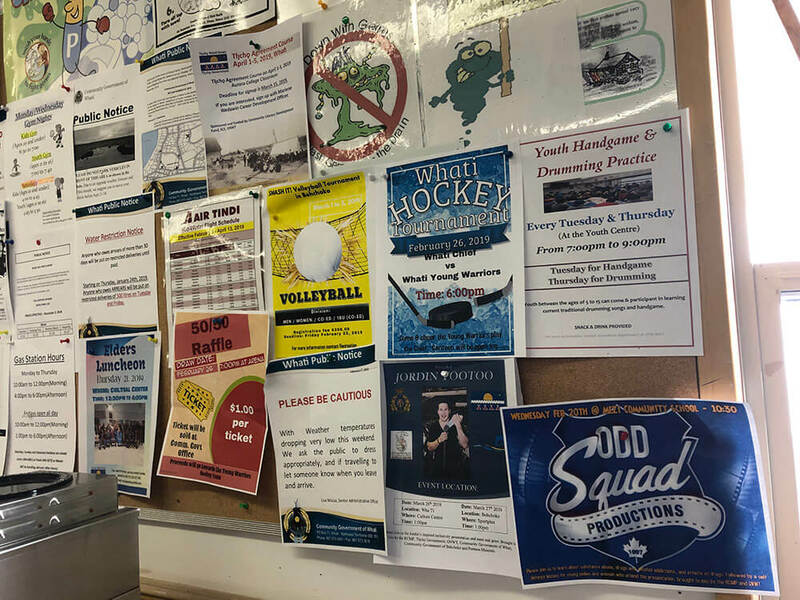 After the presentation we travel to the local community store–– like many small towns in the north it functions as a gathering place, hardware store, coffee shop and post office. Everyone is on first name terms with the officers and open for friendly banter. And then on to the detachment which is small, cluttered and portable, but functional for what the officers need. We share police stories and complaints about the vocation––uniquely similar no matter how urban or remote the policing purview. Then off to the plane and back to Yellowknife for late afternoon. 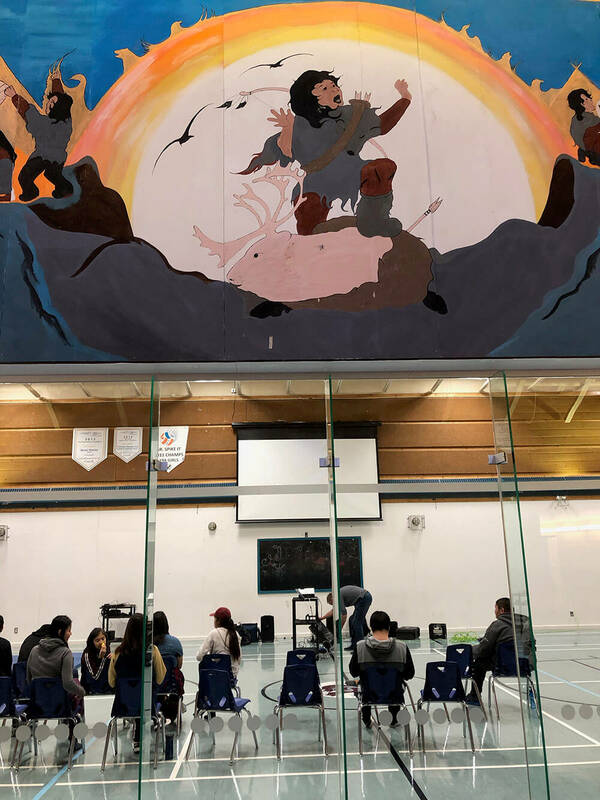 In the morning we are visiting Becheko, a community one-hour drive north of Yellowknife, and a school we remember well from years ago for the challenges in presenting and addressing drugs with its youth. Choosing a busy nearby Vietnamese restaurant, we settle for some warm food encouraged by the number of patrons eating in the restaurant, many of them Asian tourists in town for the magic of the northern lights. A few hours later, after a short meeting and visit with independent member of the Legislature, Alfred Moses (an ardent proponent for youth activities and prevention work) I was able to see the meal again in all its glory as I threw it all up into the toilet. Obviously something did not agree with me. We are met in the morning by RCMP Cpl. Charmaine Parentau and Cpl April Bell and enjoy a talkative drive from Yellowknife to Bechecko. These First Nations officers are both in positions to assist youth in the Yellowknife area and have some unique background experiences––April grew up with her father and mother off the grid on the Mackenzie River and Chantelle worked in High Level as a First Nations Police officer with the Blood Tribe. Their community has more demand for RCMP officers, likely due to the close proximity to the city of Yellowknife. Prior to our arrival there was a crack seizure and the violent crime incidents indicate there is a underlying battle with substance abuse more prevalent than in the fly-in dry communities we have previously visited in the NWT. The teaching staff assembles the entire school into the cafeteria––this is no small feat as there are close over 250 students. We are really impressed with the hot lunch program and the extension of it outside the student body. 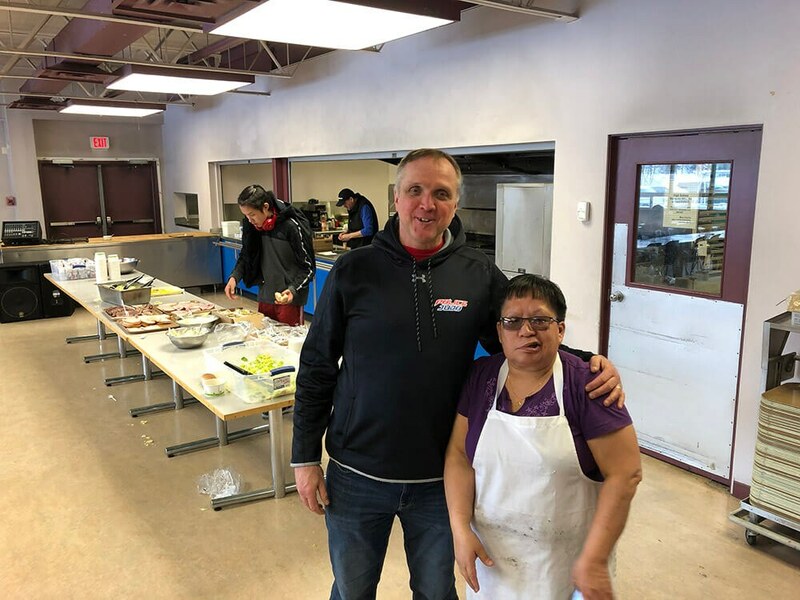 The school, operating on a community and government grant, opens up their cafeteria to the school as well as any community member who is in need of a hot meal. The impact on kids for learning and educational development cannot be understated. 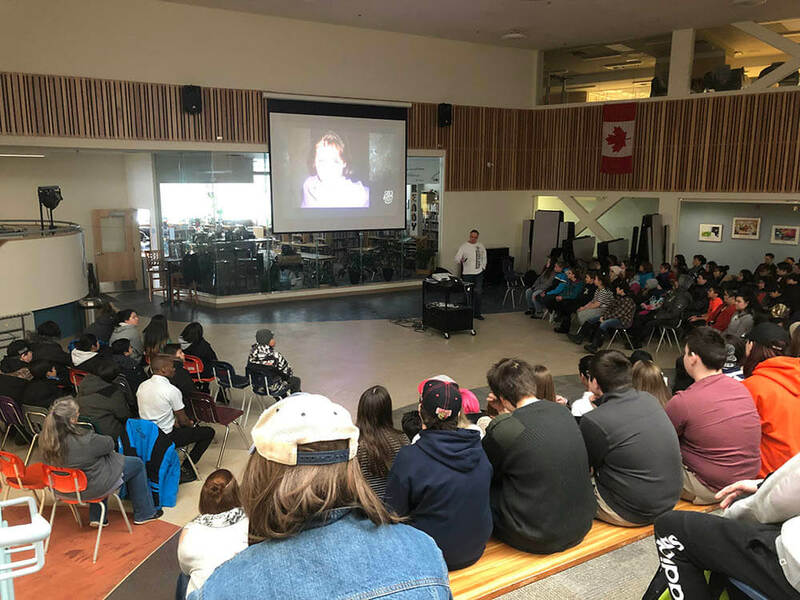 After a one-hour drug presentation, as interactive as it can be with a student group this large and diverse in age, we donate a series of Odd Squad educational videos, teachers’ guides and join the students, staff and hosting RCMP officers for lunch. After lunch we make our way to the gym and make use of some old judo tatami mats, purchased and used to run a judo program for officers and students in the gym. 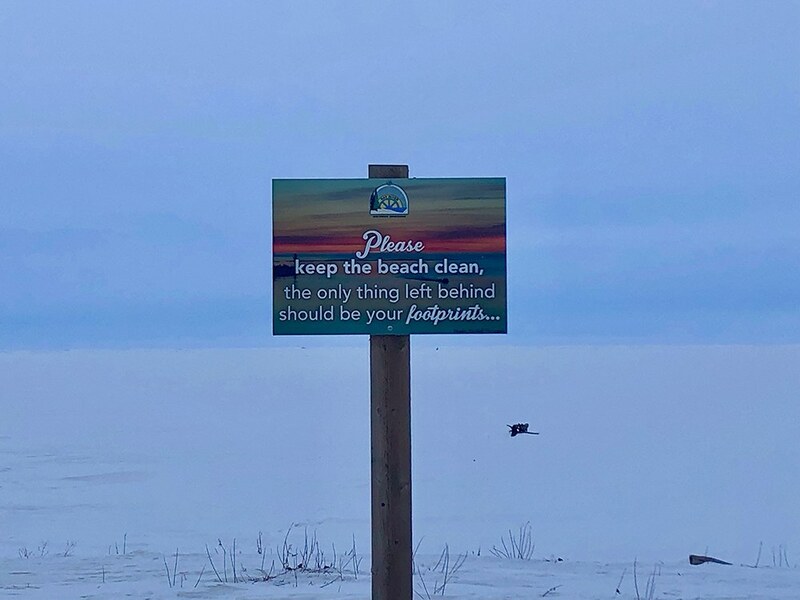 But like many programs in the north, once the RCMP officer ended up transferring out of town to another northern community, the program went with him. Once the mats are pulled out, we work on getting the senior moving and interacting with each other. Today this is a pretty tough group to get going, but once we have a few kids on the floor more drift in. Since we have the mats, we are able to put together a ground work session, but finish with a simple leg sweep technique–– the final being the opportunity to throw big Sgt. Mark Steinkampf! After the drive back to Yellowknife, we rest up and then visit our friend Mario Desforges, the president of the NWT Judo Association. Mario, assisted by his administrative lieutenant Chantal, does incredible outreach work with youth in the north using judo. 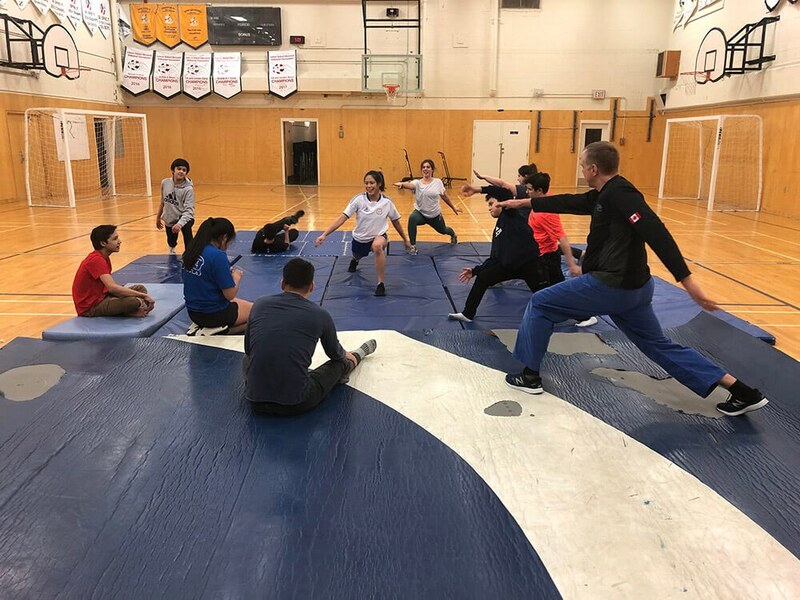 He connects with hundreds of youth through this activity and has been the driving force behind bringing judo to the north, soldiering on through challenges and adversity with his perpetually optimistic attitude. A passionate crusader of judo and promoting sports for the youth of the north, he has been a great help to us with our work in the north. His club is located at the Recreation Centre in Yellowknife, and when we arrive there is a large contingent of young kids playing judo on the mat. The adults filter in. By combining both classes, Mario allows Sgt. Mark Steinkampf to run a police judo training class for the students. An hour and a half later, we are back to our hotel. We have completed another Odd Squad NWT visit and now have a short respite before the 4.00 am return to the West Coast. We look forward to continuing to develop the OSP outreach in the northern reaches of our country. 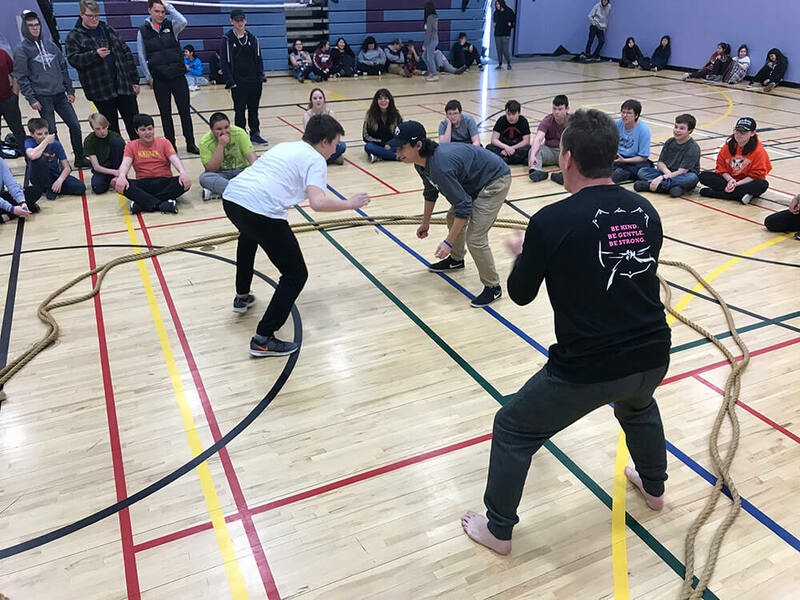 On this trip our partnerships with the local community agencies like Hay River Criminal Justice Committee, the RCMP, as well as the NWT Judo Association, have allowed us to connect with almost 1,000 young people with an important drug education message as well as a fun police judo workout. Thanks to all our sponsors and supporters, especially S/Sgt. Ken Beard and Sgt. 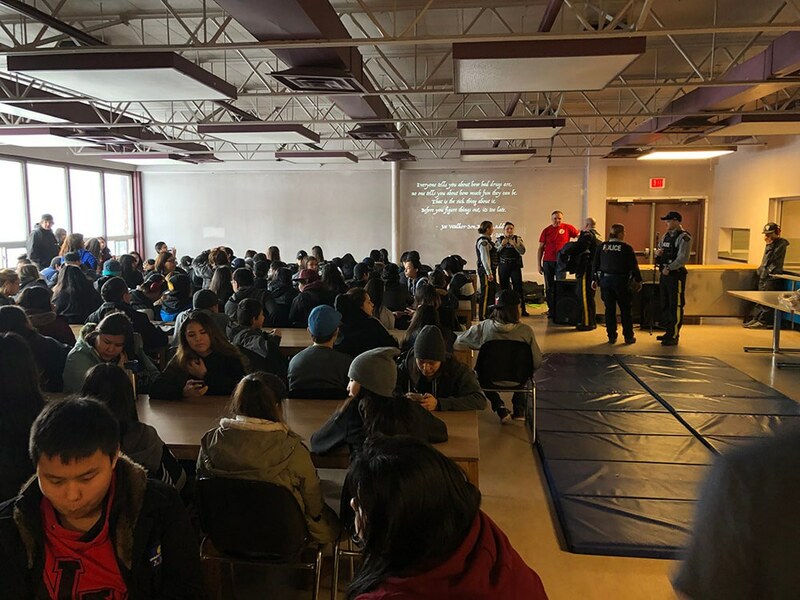 Jesse Gilbert of the NWT RCMP and Bobbi Hamilton and the Hay River Justice Committee for organizing this educational Odd Squad outreach for northern youth.